David Beckham presents Pure Instict, a perfect blend of elegance and sensuality, the ultimate accessory of each modern man. This fresh perfume with strong character, full of citruses, grapefruit, black pepper and cardamom in top notes, is touching pure aromatic accords such as sage, rosemary and lavender in a heart. A base features an ultimate masculine finish of hot and soft blends of tobacco leaves, cedar and oak moss. 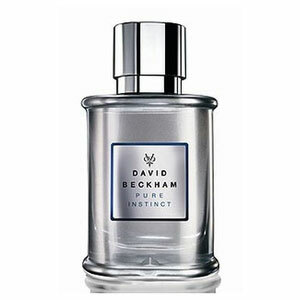 Perfume Pure Instict is available as 30ml (1 oz) edt, in a metallic flacon which reflects its minimalistic modern character. The bottle is elegant and barely pellucid, just to give an insight into its contents. You will be able to find this perfume on the market from March 2009.